Muslim Council of Hong Kong has decided to join hands with Ummah Welfare Trust in their ever-important support of the forgotten Muslims of Central Africa Republic. 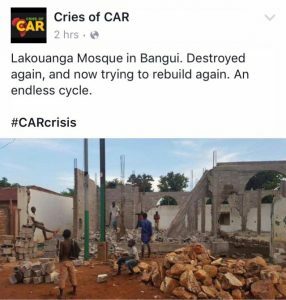 Brutal violence against Muslims in the Central Africa Republic (CAR) in the past year has led to the deaths of thousands of people and displacement of over a million. The genesis of the violence lay in a complex power struggle between two political groups. This however unfolded into a massive interreligious conflict in which Muslims are now being massacred. Thousands of Muslims have been killed in a campaign that is being described as an ethno-religious cleansing of the country. Whole villages have been demolished while masjids have become makeshift mortuaries. The violence shows no signs of ending. Throughout 2014, Muslim families from towns in the north and west of CAR fled to Chad, Cameroon and the Democratic Republic of Congo. 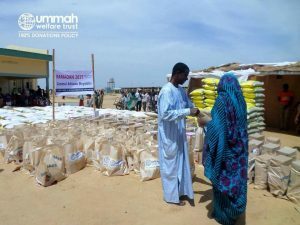 Ummah Welfare Trust is moving to provide emergency relief in Chad - a country which has seen the largest influx of refugees. 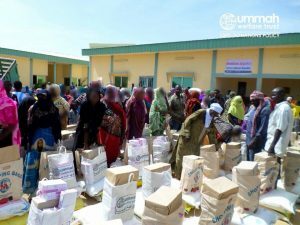 The charity is helping to provide emergency food packages and supplies to newly-arrived families in the country. Your help for this work is needed, for the Ummah is one and is swift in its response. 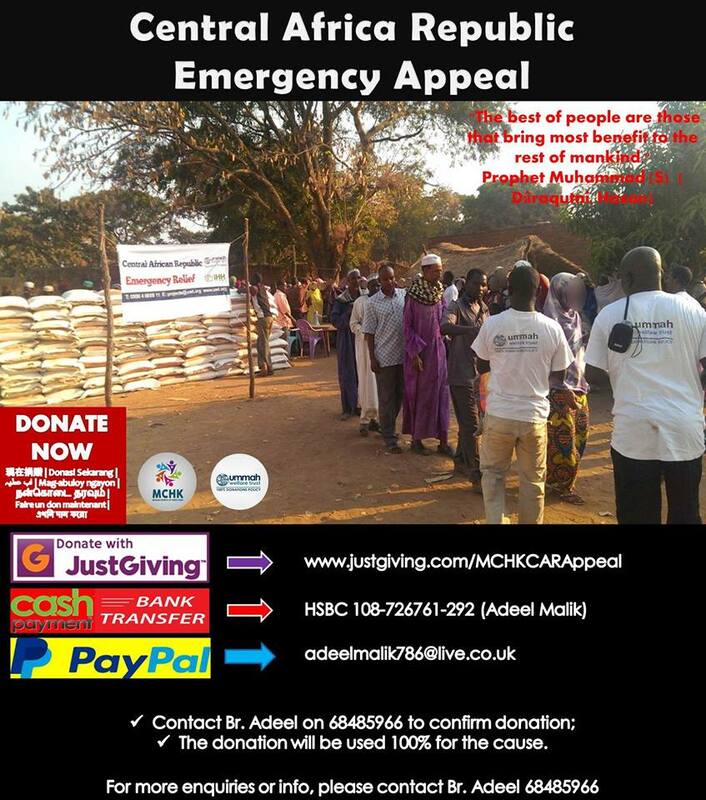 Ummah Welfare Trust is appealing for your donations so that immediate relief can continue to be provided to our brothers and sisters. 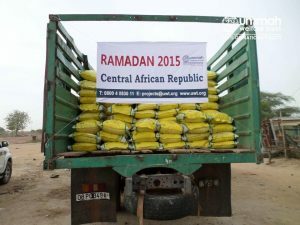 Donate today and support the Ummah in Africa. Donate your Zakah, Sadaqah and Lillah today.